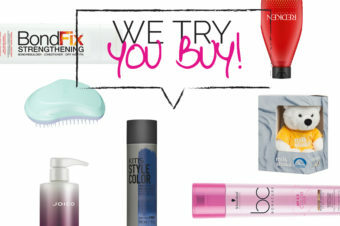 The best kind of hairbrush for you – yes, you! 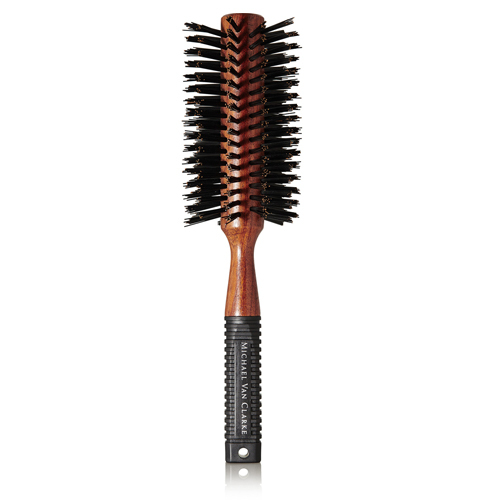 TO ADD VOLUME A round brush is probably the most versatile hairbrush you can invest in. Depending on your wrist action, you can pretty much use it to create any style however it’s best for injecting some serious volume into the hair. Wrap towel-dried hair round it, hold a few cms away from your parting and blast with your hairdryer. TO SMOOTH AND STRAIGHTEN Looking for a hairbrush to eliminate as much frizz as possible? The paddle brush is for you. Its large surface area allows for an even distribution of heat all over your hair, meaning you get a smoother, flatter result. They’re not the easiest hairbrushes to get lots of shape from but subtle flicks at the ends are possible. 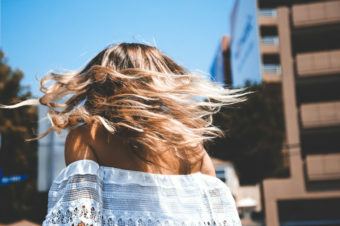 FOR EVERYDAY STYLING If you’re not blow-drying your hair but want to either get it up into a pony or simply give it a brush through without losing any of the volume or shape you created from your blow-dry, then a dressing brush is what you need. Normally oval in shape with a slight spring in the cushion, the best ones have a mix of boar and nylon bristles; boar for shine and nylon for grip. FOR SHORT HAIR Bigger brushes can be overwhelming for shorter styles so look for slightly smaller options instead. 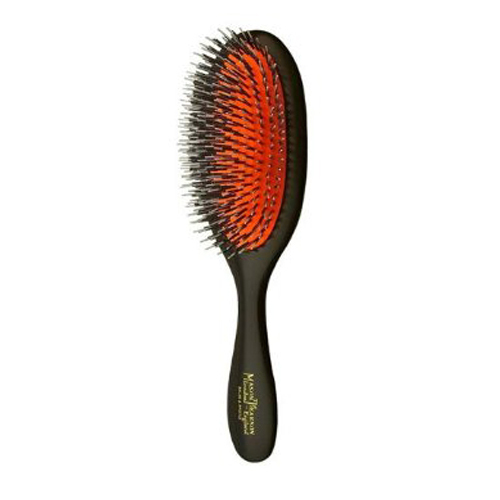 A vented brush (that means large gaps between the bristles) will allow the air to circulate through the hairbrush and your hair, and will smooth out any kinks without over-doing it. TO BOOST SHINE Natural bristles – we like boar bristles best- give hair more shine and smooth it down as you dry compared to synthetic bristles, which make hair more static. They are on the pricer side of things, but if you look after them (by removing any hair build-up and giving them a rinse with gentle shampoo in warm water) they’ll last forever. FOR FULL-ON GLAMOUR Hollywood waves. K-Mid bounce. If that’s the look for you then you will need to be armed with a mixed bristle, round hairbrush to tick all your styling boxes. 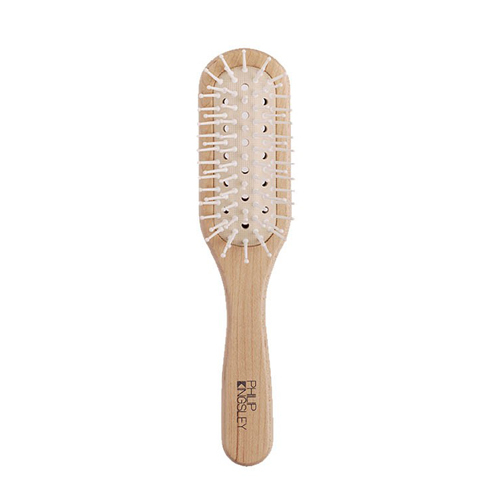 The natural bristles will give you grip, allowing you to create lots of tension to give maximum root lift and movement through the hair, whilst the synthetic bristles will detangle and smooth. It’s the best of both worlds. 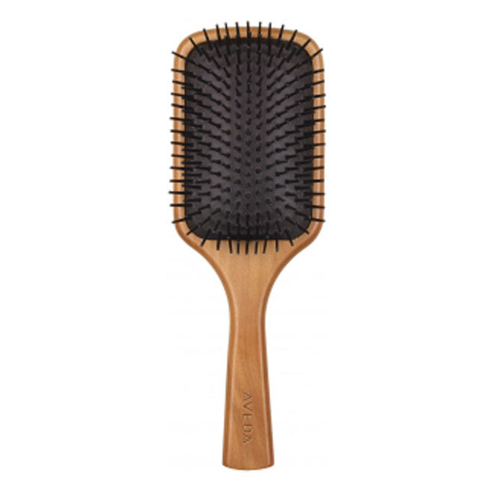 FOR THICK HAIR If drying your hair takes an age then swap your regular brush for a vented one. 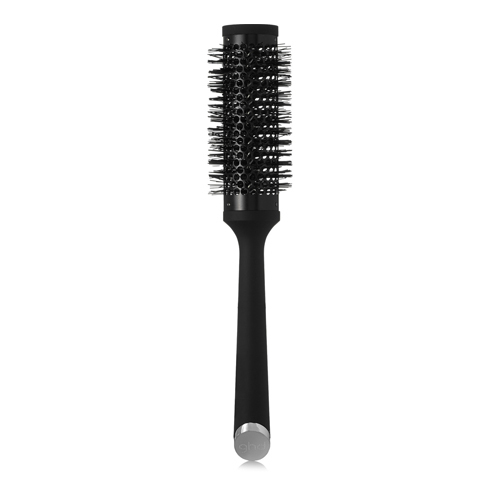 A vented brush tends to be ceramic and have holes in the barrel this helps heat the whole hairbrush up, so your hair will get drier quicker. Because they get so warm they’re also really great for creating curls as they essentially become like a heated roller on a stick. 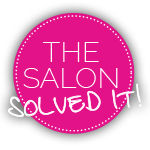 FOR DETANGLING Where, or where, would we be without a Tangle Teezer? 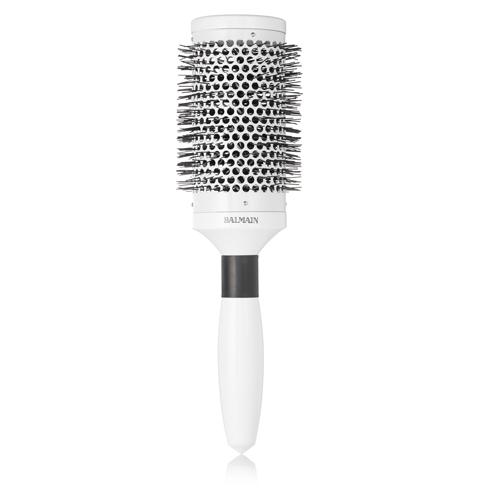 Its ergonomic grip and gentle, but tough on knots, bristles glide through wet hair to get it prepped ready for blow-drying. They don’t give an amazingly polished look when used for blow-drying, but if you just need to get your hair dry and brushed through then it works.